We use quality materials and standard framing procedures that will best display your photograph or artwork. We offer a large selection of wood and metal mouldings, quality acid-free mat-boards and a selection of glazing materials. We can frame photographs, artwork, certificates and collectable objects. All work is done on the premises with a 7-10 day turnaround. The fitting (assembly labor) charge is waived when you purchase a moulding. Canvas stretching is $1.00-$1.50 per United Inch (Height + Width) for standard and gallery design depending on your choice of stretcher bars. Conservation framing utilizes materials and techniques that will best protect and preserve the art. All methods are completely reversible without leaving any impressions or residue on the artwork. We offer 100% cotton rag matboards, 98% UV protection glass, museum glass and conservation mounting and fitting procedures that do not harm the original artwork. All work is done on the premises with a 7-10 day turnaround. We stock a few finished and unfinished frames that can be customized to fit your pictures, portraits, certificates or awards. 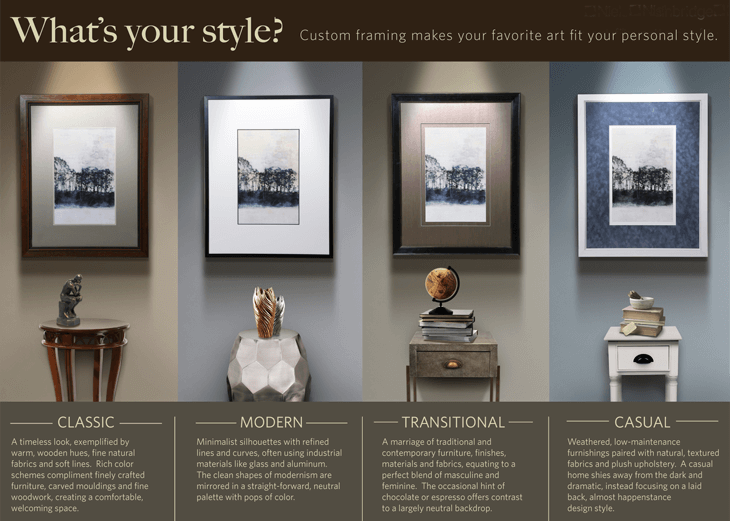 Our framing experts will help you choose materials to create your perfect frame. We can even assemble the frame for you. 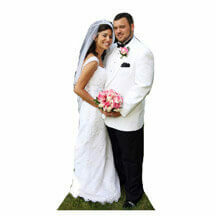 We carry a variety of mounting foams and boards to help you protect your pictures. 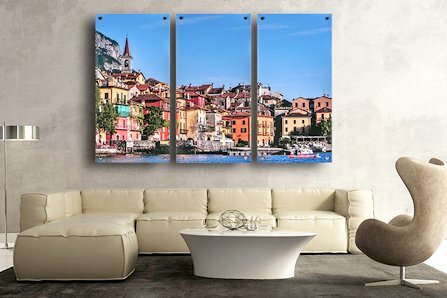 Highlight your best memories to decorate your home or office. A mounted photo also makes a great gift for a loved one. Click here for the Print Mounting and Laminating page. Lamination is a great way to preserve your pictures, posters and certificates for long term displays. Lamination protects the print from UV fading, is water resistant and is cleanable. Click here for the Print Mounting and Laminating page.